Google Chrome is the lightweight browser which develop by Google. This browser is available for cross-platform, you can install on Windows, Mac, Linux, etc. Beside it, you can adding some add-on which available at Chrome Web Store. This is the best choice for netbook user, because Google Chrome don't make your browsing looks like a snail. 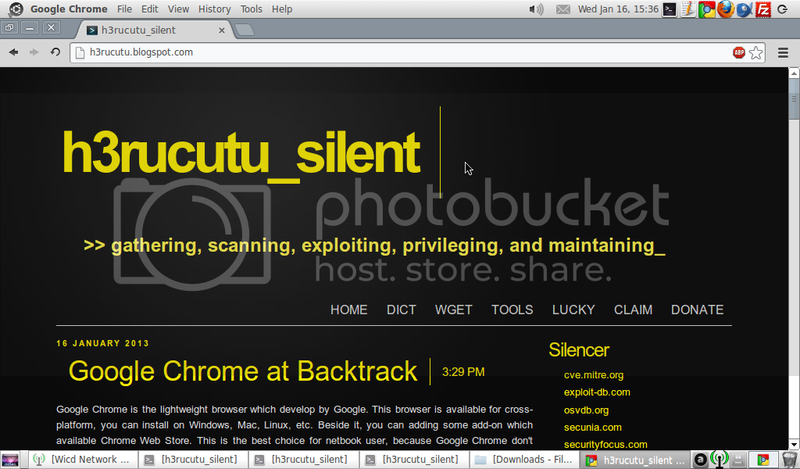 When you run on GNU/Linux, Backtrack especially, there's a Chromium Web-Browser the optional choice beside Google Chrome. 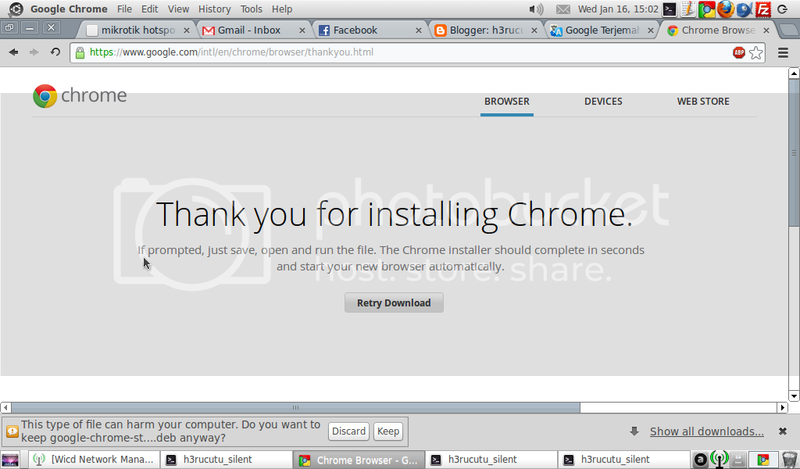 You can install Chromium by type apt-get install chromium-browser at Ubuntu/Debian based. 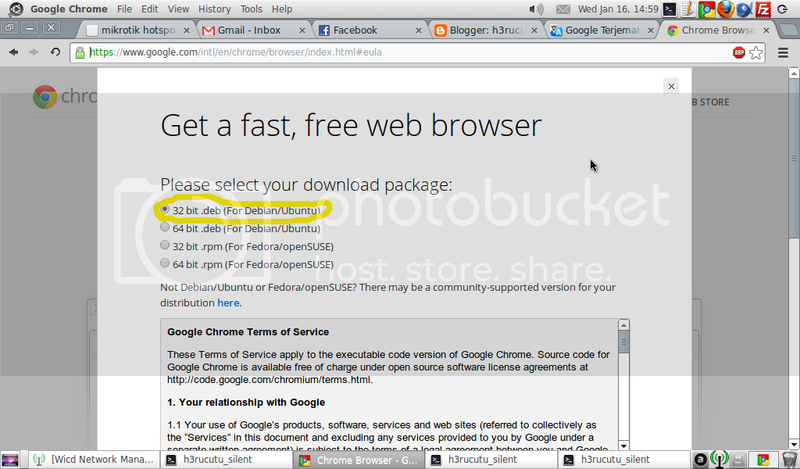 But when you install Chromium, you won't able to adding some add-on in Chrome Web Store. To install any add-on you must install Google Chrome. Let's get it. First, download Google Chrome installer, you can go here. Choose 32 bit.deb (Debian/Ubuntu) because, Backtrack 5 is the derivative of Ubuntu, then Accept and Install. Wait until the download package was completed. 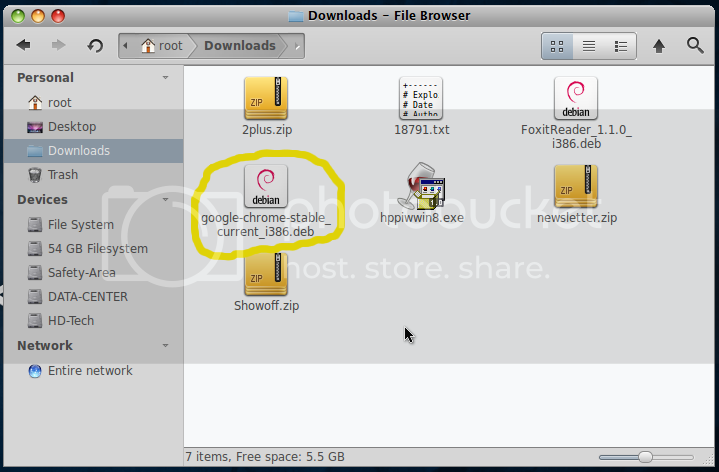 For example, my downloaded Google Chrome package in Downloads directory. Open the terminal, then enter to Downloads directory by typed cd Downloads. To see the files which located in this directory, type ls. 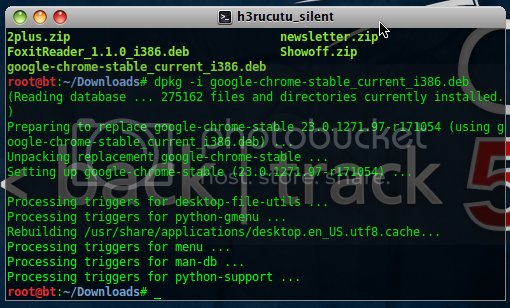 Install Google Chrome with dpkg -i google-chrome-stable_current_i386.deb. Wait until the process completed. Now let's check on your menu Applications >> Internet, you will see Google Chrome was appear. But when you click, there's an error, because at default on backtrack, you run as root privilege. Stay cool, there's two method to fix this problem. First, you can add another user as administrator or user desktop, but you will need to type sudo, every you need root privilege. And the second, modify Google Chrome which can run by root. I will use the second choice. Right click the main menu, then select edit main menu. 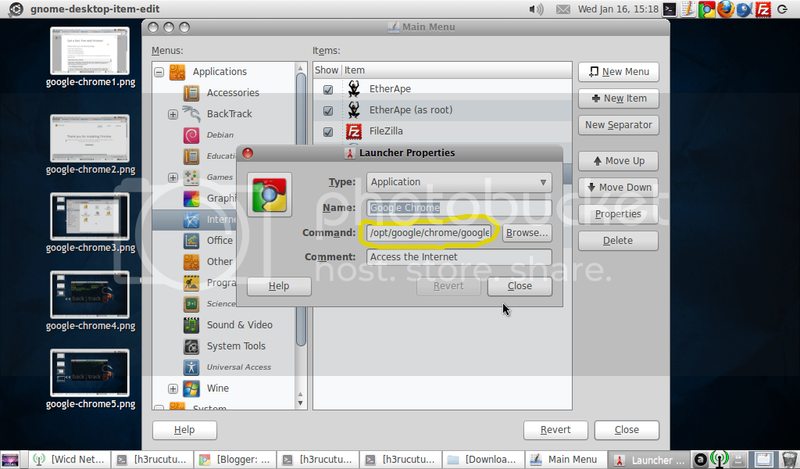 Find Google Chrome at Applications >> Internet >> Google Chrome, click Properties. You will see the directory where Google Chrome is stored, at /opt/google/chrome see the Command field. Run terminal again, then enter to the directory which we read from properties. Type cd /opt/google/chrome. 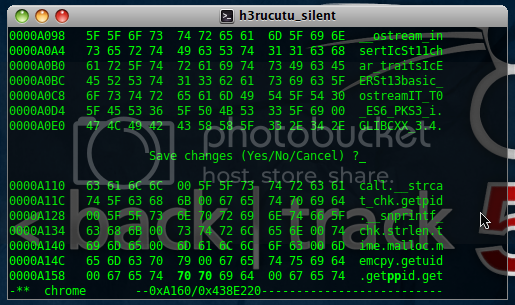 Type ls to see files which present of this directory. 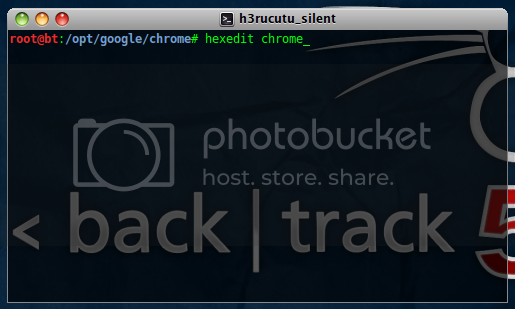 Use hexedit to edit chrome binary by command hexedit chrome. 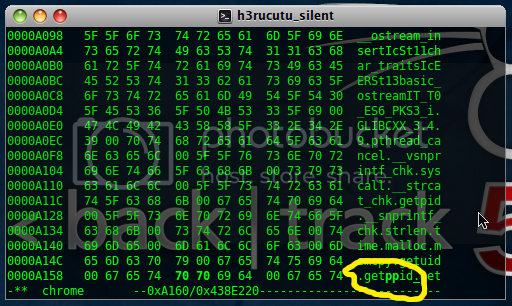 After that press Tab on your keyboard to enter the string mode, press CTRL+S to search, then type geteuid and Enter. You will see the word geteuid, now change it into getppid, just type it. After type it, you can save with CTRL+S then type y to save. You can exit hexedit by pressing CTRL+C. 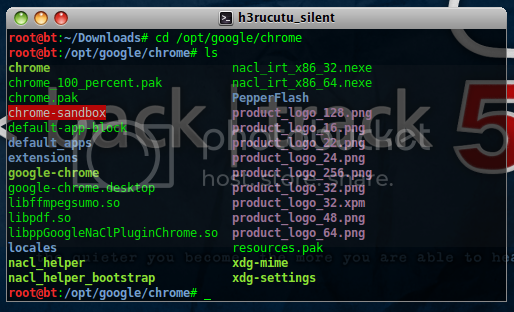 Now your Google Chrome can running with privilege as root. Enjoy it! saya ctrl+s geteuid engga nemu di hexeditornya mas ada solusi yg lain enggga yah??? 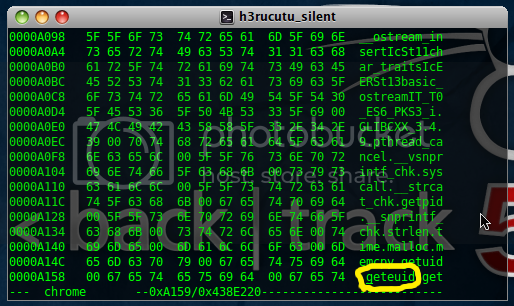 udh ctrl+s di hexeditor tapi gk nemu2 "geteuid" << nya ada solusi yang lain engga yah... ??? 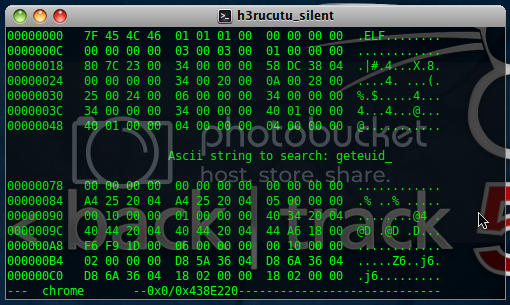 terima kasih sebelumnya, silahkan ulangi langkah-langkahnya secara urut, bisa jadi anda lupa pencet tab saat berada di hexedit, ini untuk mengubah mode di hexedit dari Hex ke ASCII. Kemungkinan kedua, anda salah mengedit executable file Google Chrome, file executable yg diubah adalah chrome, bukan google-chrome.